Dr. Michael Monmouth, a fellowship-trained orthopedic and sports medicine physician specializing in total joint replacement, has joined the Orthopedics & Sports Medicine team at Houston Methodist St. John Hospital. 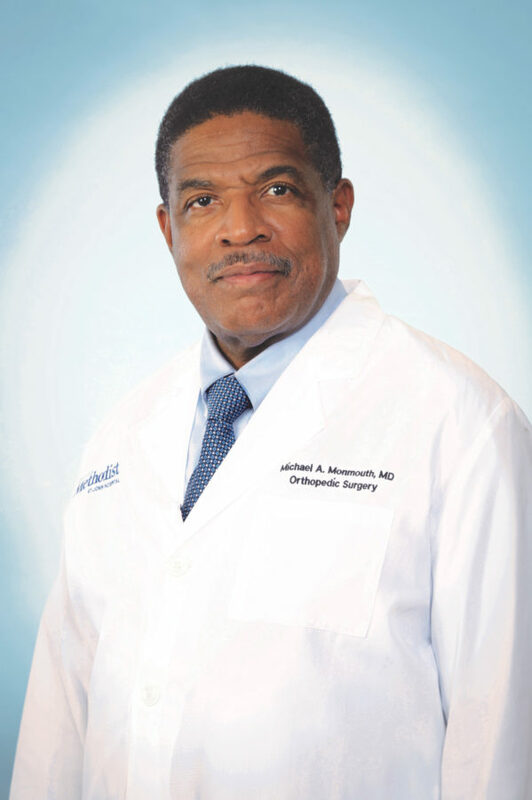 Dr. Monmouth is a highly trained surgeon with years of experience performing advanced orthopedic procedures. He has cared for patients in the Greater Bay Area for more than 20 years and has built many long-term patient relationships. His areas of expertise include reconstructive surgery of the knee and hip; minimally invasive and arthroscopic surgery to perform cartilage, ligament, and tendon repair and restoration; and fracture care. He is also the team doctor for student athletes on the Texas City High School Stingarees football team. Dr. Monmouth will join Drs. Jamie Alexander, Kenneth Brooks, Edward Lee, Jason Leaseburg, and Javier Rios and see patients at two office locations: 2020 NASA Parkway, Suite 230 in Nassau Bay and 14903 El Camino Real in Clear Lake. For more information or to schedule an appointment visit houstonmethodist.org/orthopedics/st-john or call 713.363.9090. « SATOP changes the world one request at a time — and wins awards to boot!